Serving Tewksbury, Lowell, Middlesex and the surrounding counties, and throughout Massachusetts, New Hampshire, and Maine. Since 2002, I’ve built my practice on providing affordable, tenacious representation to clients. The hallmarks of my practice are experience, dedication, and tenacity. 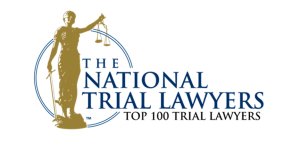 I’ve had hundreds of court appearances, numerous jury trials, and negotiated dozens of settlements for clients. I give every client my full attention and dedication. Clients deserve nothing less. When you entrust your legal matter to an attorney, you expect – and deserve – your attorney to put forth their full efforts in getting you the best result possible. I intentionally run a low-volume practice so that I can devote the time required to each client. I would invite you to contact me to learn how I and my firm can help you with your legal matter. I offer a free consultation, and accept injury and wrongful death cases on a contingency fee basis, meaning that there is no fee unless you recover compensation.